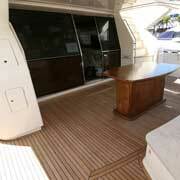 76 Ferretti 761 for sale in Cape Town South Africa. 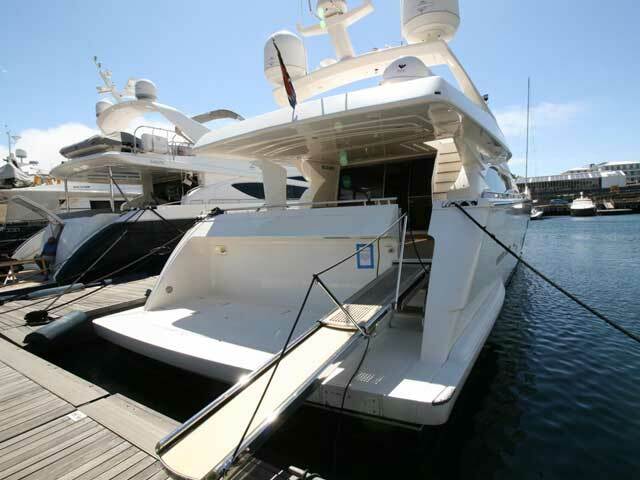 A unique opportunity in owning this stunning an superbly maintained craft. 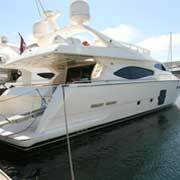 Suitable for personal use of client entertaining, or even private and upmarket chartering. 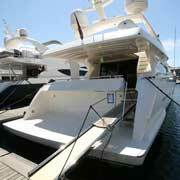 Asking price is R14,900,000 plus vat. 2 x 1522hp MTU 12V 2000 M9 1 V12 drive shaft engines - 1870 engine hours as at February 2018, 5900L diesel storage, 16 batteries - 6 engine, 2 generators and 8 house, electronic controls for engine, clutch and throttles, double type by-pass fuel filters, engine and generator remote shut-offs, fully equipped engine room including workshop with engine tools and work bench with vice, deviating valve to allow engines to pump water from the bilge, engine room fire extinguisher system, smoke detection system in engine room. 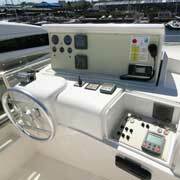 Maximum speed: 33.5 knots, Cruising speed: 30 knots. 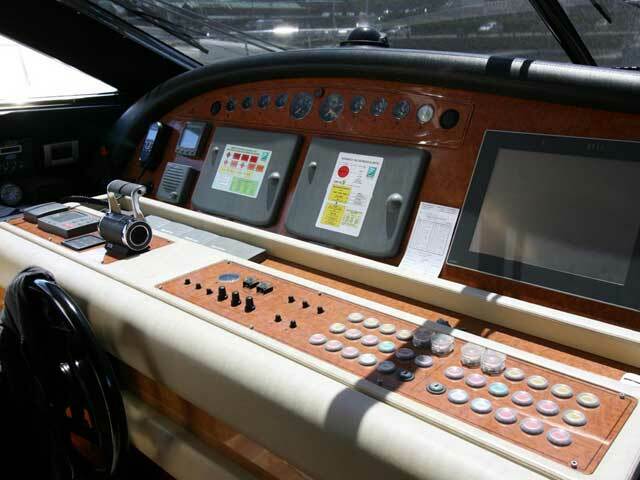 Hydraulic steering from cabin bridge and flybridge, 20hp bow thrusters and stern thrusters, Raytheon ST6001 autopilot with dual controls, Naviop anti-rolling Gyro stabilizers with monitoring 15 inch touch screen. 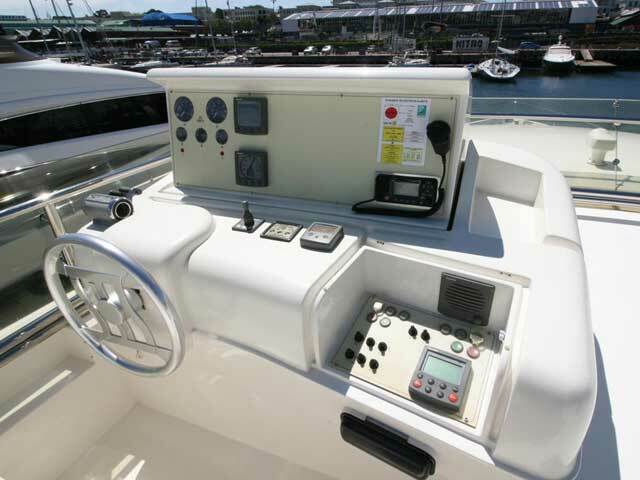 2 VHF’s - Icom and Raymarine, Raymarine 36 mile Radar, 2 Raymarine C120 GPS chart plotters, Raytheon echo sounder and log, repeaters, telephone interface GSM/GPRS/Fax/PCData, 2 bulkhead compasses, 3000W 220V Combi inverter, 2 Kohler generators - 20kW and 4kW, 63amp shore power connection and cable, 100amp automatic battery charger, Cathodic protection and zinc anodes, music system and flat screen TV in saloon, 72000 BTU Tropic air-conditioner. Total berths: 8 berths - 4 cabins with 2 doubles and 4 single berths, 4 electric heads, 2 bidets, 4 showers, 4 basins, grey-water tank with automatic electric pump, 250L black-water tank with level gauges, leather and suede upholstery, Laminate flooring and carpets in cabins. 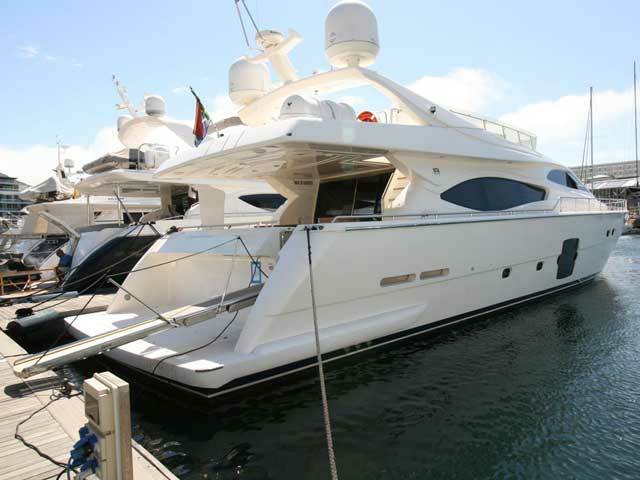 An absolutely stunning vessel with an impeccably maintained interior. Full crew and permanent captain keep her in tip-top condition. 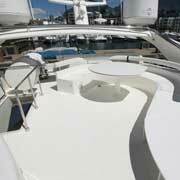 Luxurious cabins which are all en-suite, also large lower saloon with entertainment and the upper saloon has a large oval table with comfortable seating for 8. Interior is fully air-conditioned and very comfortable. 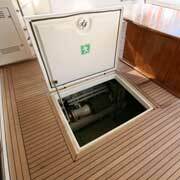 There is also separate crew quarters for 3 with electric heads and shower. 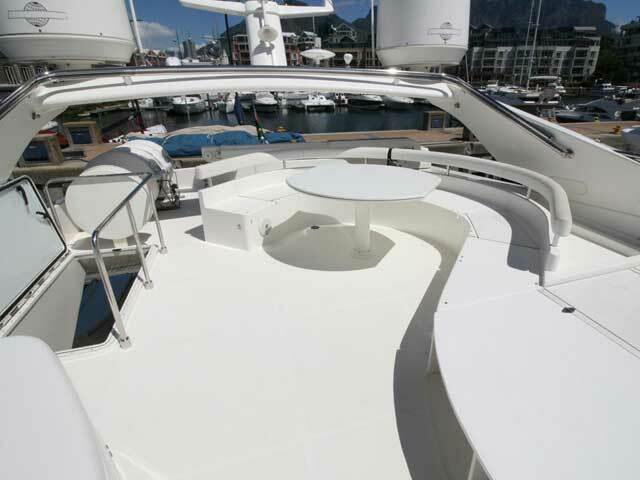 3-Burner stove with oven and grill, microwave, fridge, 220V freezer with inverter, double stainless steel sink, pressurised hot and cold fresh water system, granite tops and easy-clean white walls in the galley, abundant stowage and all required extras including; dishwasher, 50L fridge at flybridge and 75L fridge in saloon. 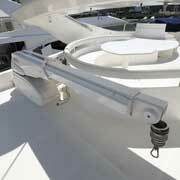 1000L Water storage, pressurised hot and cold fresh water system - hot from water geyser (220V 80L), 6 electric bilge pumps. 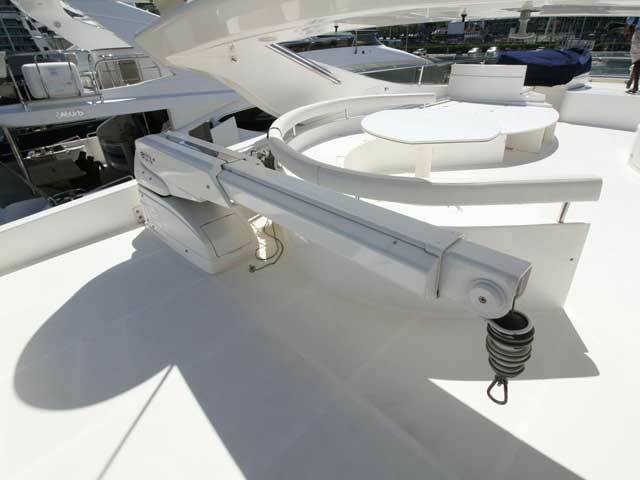 2 Bruce anchors (with digital chain counter), chain (74m and 100m), 2 electric windlasses with controls at bridge and flybridge, 12 life jackets, 2 life rings, danbuoy, 8 fire extinguishers, first-aid-kit, 2 x 6-man life rafts. 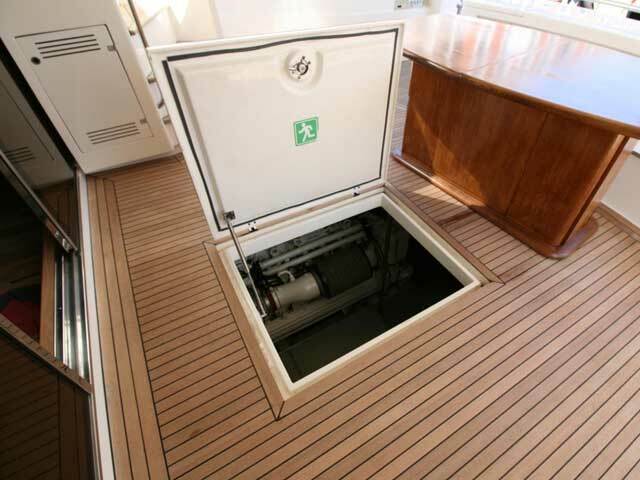 Tender with 30hp outboard motor, 130L per hours water maker, electro hydraulic deck crane for launching tender (400kg), electro hydraulic folding gangway in painted stainless steel and Teak with remote, bimini cover for flybridge, horn with compressor, ice-maker, salt water outlet at transom and foredeck as well as at galley, hot and cold shower at transom, sunbathing cushions for foredeck bathing, sunbathing cushions on flybridge, detachable and directional spotlight, watertight forward bulkhead, many extras and features which are best viewed on board. 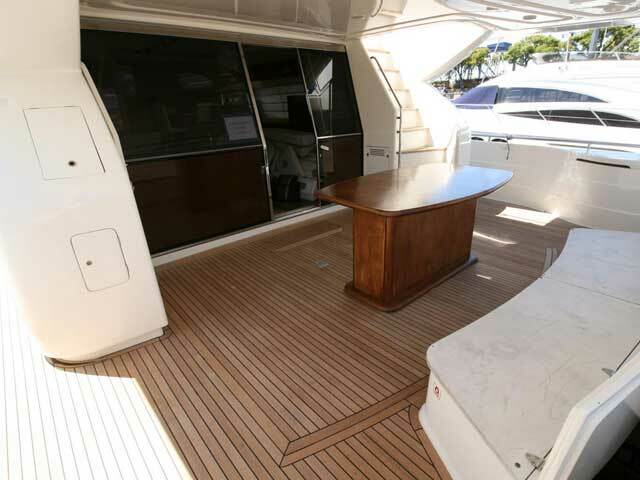 A great opportunity to own a low-hour and immaculately maintained Ferretti 761. 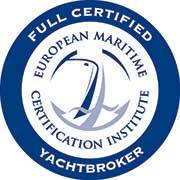 Well equipped and in full running order with required safety certificates. 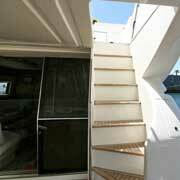 She offers the twin crew cabin option to ensure separation of crew and guests. 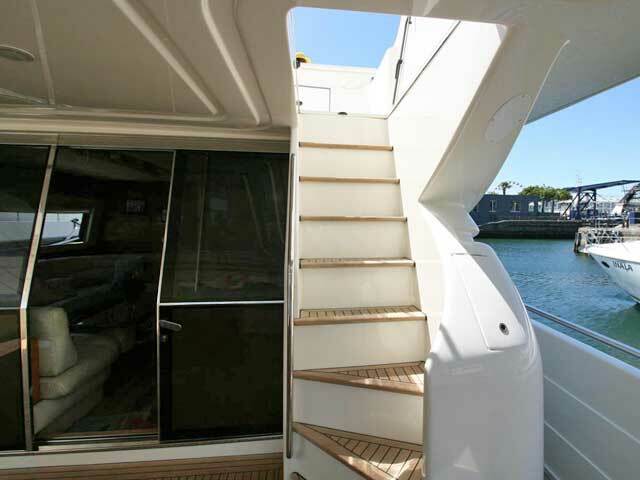 Access to flybridge and swim platform through fixed moulded stairs with Teak, she offers a large electric operated garage offering large stowage facility, large cockpit with Teak flooring in magnificent condition with fixed saloon table moulded bench as well as chairs for large capacity seating, cockpit and deck lighting, a cockpit door allows for access into facility room and crew cabin. 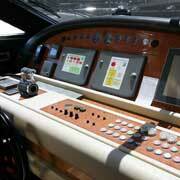 She is also fitted with a very sophisticated Ferretti Gyro Zero Speed stabilizer (200,000 Euros). Any further information can be supplied.